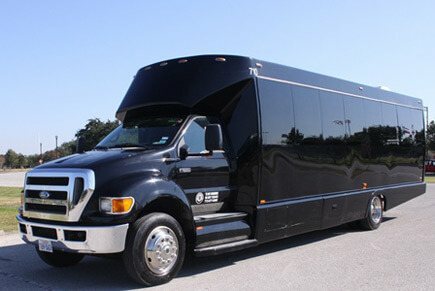 The perfect mid-sized limo bus for your next group outing. Talk about a vehicle that will take you anywhere you need to go in the Houston area and beyond. The outside of this vehicle is absolutely rugged and beautiful and when you step inside, you are going to be blown away by how much room there is for you and your guests to enjoy. You can't go wrong with a vehicle that acts as a nightclub for you and your friends while you're touring Houston. 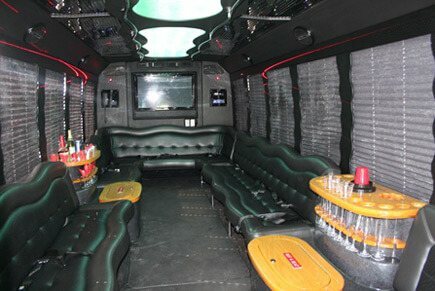 From weddings, to bar hopping, to proms, this bus has been used for everything and we are certainly open to new ideas. Any event or occasion you have in mind this bus is up for, but be warned this limo bus is known to book months in advance especially during our busiest seasons so you may not want to wait around and procrastinate on this one. Give us a call today to receive your no strings attached quote or go ahead and book it while you know it's available for the date and time you need it. You are absolutely going to love this fleet vehicle as well as all it's modern amenities and so will all of your guests. Privacy windows with both tint and shade.